Increase the braking, handling and brake cooling of your Volvo C30/C70 and S40/V50 by installing a set of Stoptech 2-Piece AeroRotors. Stoptech 2-Piece AeroRotors are designed to be direct replacement rotors for your Volvo C30/C70 and S40/V50 that are equipped with 320mm size front brake rotors. 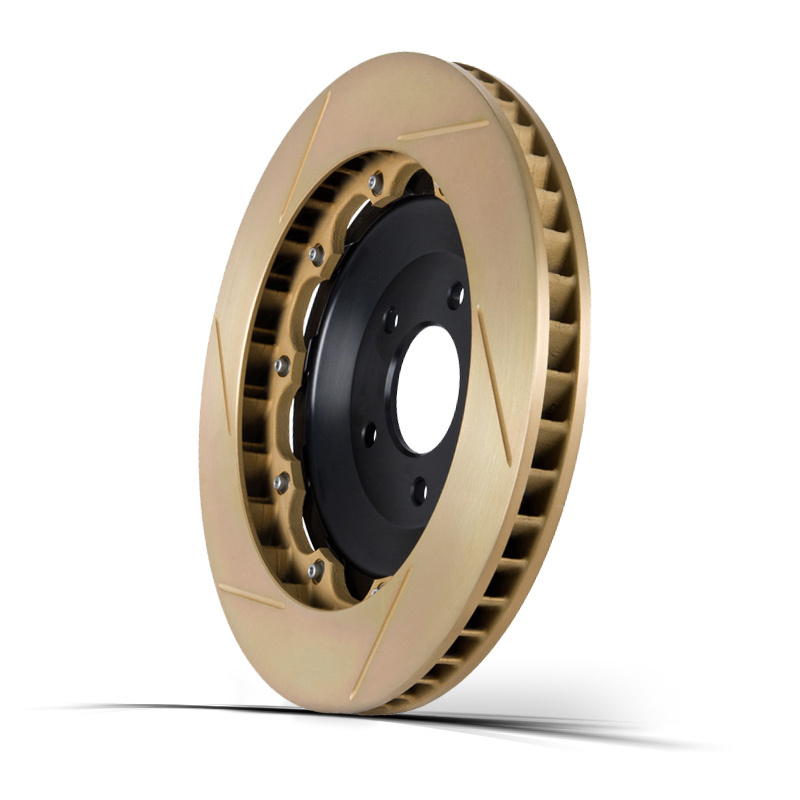 These 2-Piece rotor feature the same factory dimensions while providing better cooling, handling and improved braking. Patented AeroRotor vane design pushes up to 80% more air than factory one piece rotors. This allows for proper cooling and reduced brake fade under hard braking. These Rotor are available in Slotted or Drilled patterns with an optional Zinc coating. The Zinc coating helps aid in corrosion protection for longer lasting brake rotors. 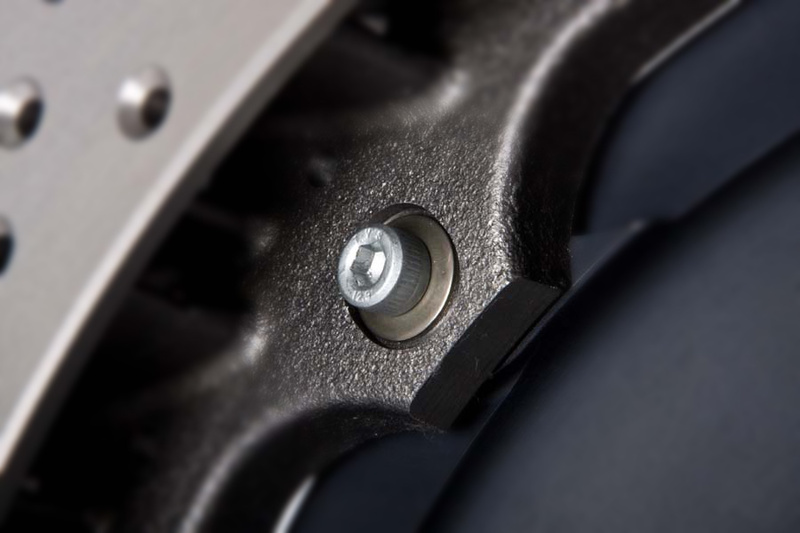 The patented 2-piece AeroRotor assembly uses uniquely designed and patented AeroVanes® inside the disc to optimize airflow through the rotor. 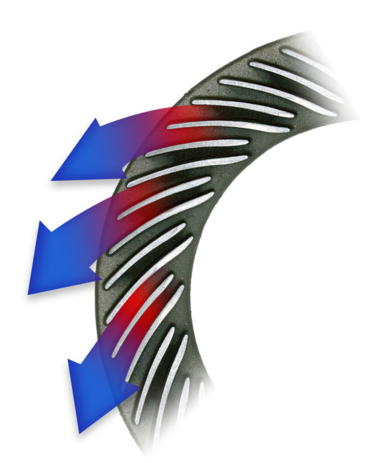 This improved directional design minimizes turbulence and flows up to 61 percent more air than any other rotor tested. The result is up to 80 percent better airflow over original equipment rotors and 10-30 percent better airflow than other directional vane racing rotors currently available. Better airflow equals better cooling, and better cooling means less fade and better overall brake system performance. Super strong Inconel® drive pin washers - as used in aircraft engines and other racing applications - are practically impervious to oxidation or corrosion even at extreme temperatures.